"Cool, refreshing drink with a milk base that is a common drink in Latin America, namely Panama. Can be made with almost any type of meaty fruit. Any type of fruit can be used in place of the papaya, such as cantaloupe or peaches. Serve immediately or store in refrigerator. If stored, be sure to stir before serving. Enjoy!" 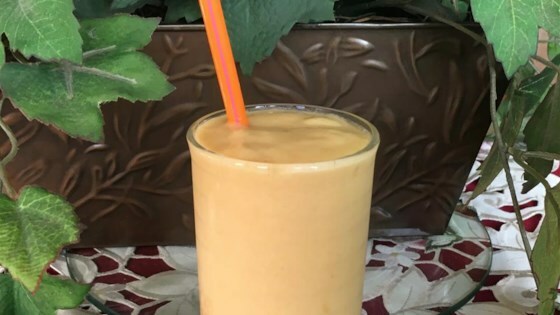 Blend milk, papaya, sugar, vanilla extract, and cinnamon together in a blender until smooth; add ice and blend until slushy. I put almond extract instead of vanilla!